For the Spring 2019 Doula Maternal Support Practitioner Program Scholarship at bebo mia inc we had some amazing applicants and are thrilled to present our winners’ submissions. With the help of some incredible sponsors like Olivia Scobie & community partners we were able to offer 8 full Scholarships and 8 partial Scholarships to our combined fertility, birth and postpartum doula training – all hand selected by our very own Scholarship Committee! 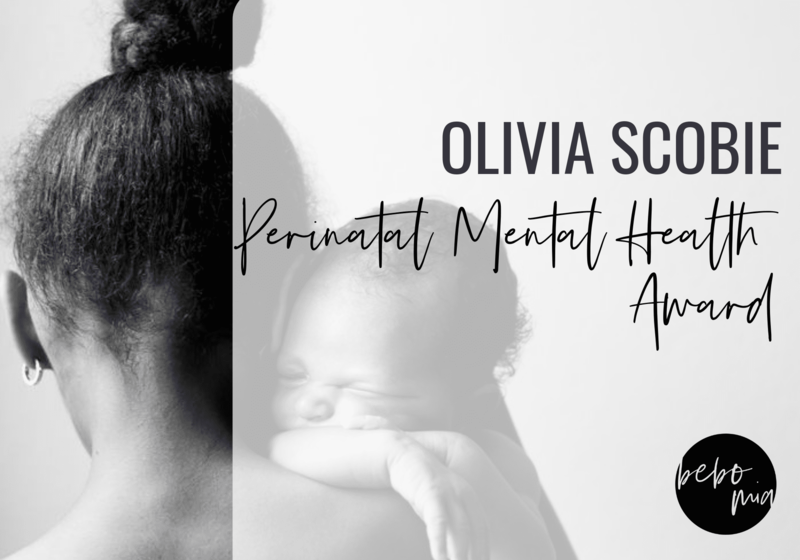 Today we are super excited to introduce you to the recipient of The Olivia Scobie Perinatal Mental Health Award, Christy Stringer. This award recognizes an applicant whose personal goals, business practice, or project is centred around perinatal mental health and the impact of mood disorders in the postpartum period. The recipient will understand the impact of trauma and the importance of perinatal mental health in the field of birth work. They will recognize the need for offering support, services and business practices that meet the mental health needs of all families during pregnancy, birth, and the postpartum period. For All (Body Positive Yoga) with Dianne Bondy and Amber Karnes. Both of these training programs have opened my eyes to important issues and ways to make yoga more inclusive for marginalized peoples in the yoga community. I hope to gain similar insight on how to shift consciousness and awareness as it relates to birth work. My aspiration is to infuse both my passions for yoga and birth once I become a doula. I unintentionally embarked on a holistic health journey at the age of fifteen. I surprised my parents by cutting off all my chemically straightened hair also known as “doing the big chop”. I transitioned to a more plant based diet, and I began practicing yoga at home. I was always conscientious about my parents’ finances and the sacrifices they made for us and found it difficult to afford the exclusionary and expensive products of the wellness industry. Thankfully my parents loved taking us to the library multiple times a week and that’s where I found yoga DVDs. Yoga became a principled avenue for my stress relief and pain management of my lower back pain at the time. In my search to become my optimal self I came across information on doulas at seventeen years old. I read a book called Holistic Parenting From The Pan-Afrikan Perspective by Iya Raet. I wanted to start a family in the future and I was intrigued by the roles of birth workers such as midwives and doulas. Fast forward years later, I became a certified yoga teacher in 2013, a mother in 2016 and now a doula student in 2019! I am beaming with gratitude to be one of the scholarship recipients of the Olivia Scobie Perinatal Mental Health Award! I feel honoured that bebo mia took the time to read my story and offer an opportunity. I applied for the award because I think perinatal mental health support is important in the field of birth work. I want to be a doula because doulas have been related to improved maternal health outcomes such as reduced postpartum mood disorders. Mothers need to be nurtured just as much as newborns do. Mothers experience changes in their bodies, hormones, and emotions in the postpartum period that is often overlooked. Many women feel the overwhelming pressure to be “super moms”, even within the first few months of entering motherhood. At first I didn’t even have a concept of postpartum depression and anxiety although I was concerned there was something wrong with my mood. I felt overwhelmed with being a first time mom with no family nearby and struggling with living so far away from amenities that bigger cities offered. The exhaustion coupled with a challenging first few weeks with breastfeeding was really tough for me. I was not mentally or physically prepared for the toll that it took on me. I started finding refuge in Facebook parenting groups where I was able to ask questions, relate to other parents, and make local and virtual friends. I had no idea there was such a thing as a postpartum doula and in hindsight I could have benefited from one. It wasn’t until I was 6 months into motherhood that a friend I met on Facebook informed me that postpartum doulas exist. She was the same friend who introduced me to Peanut, an app for making local mommy friends. Making new friends who were embarking on motherhood helped me feel less isolated. Having a positive community had a nurturing effect on my life which affected my family. 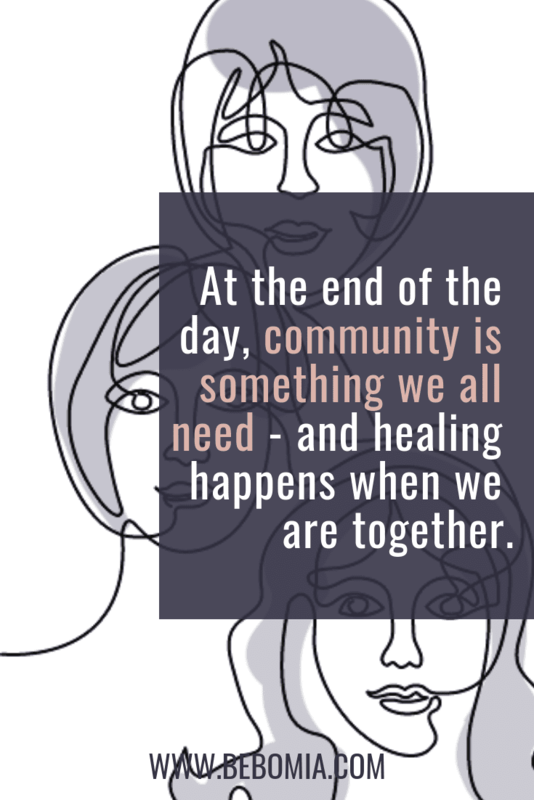 At the end of the day, community is something we all need and healing happens when we are together. 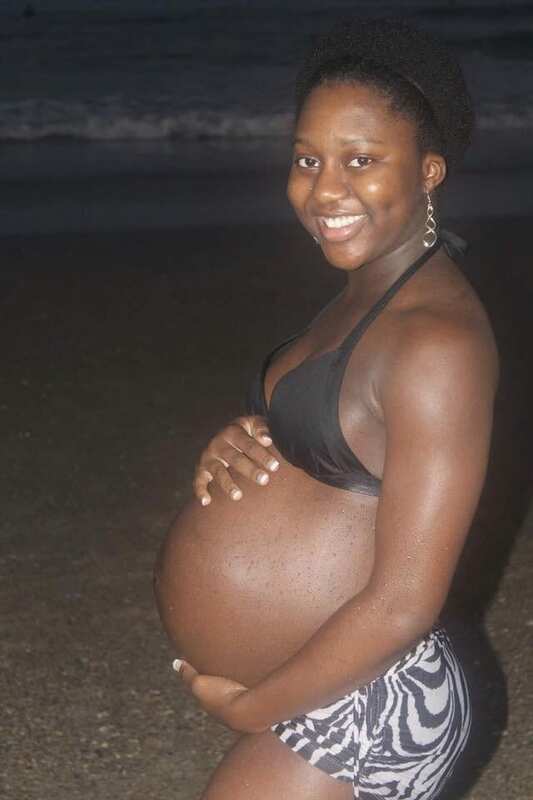 I chose bebo mia because of how extensive the Maternal Support Practitioner program is. 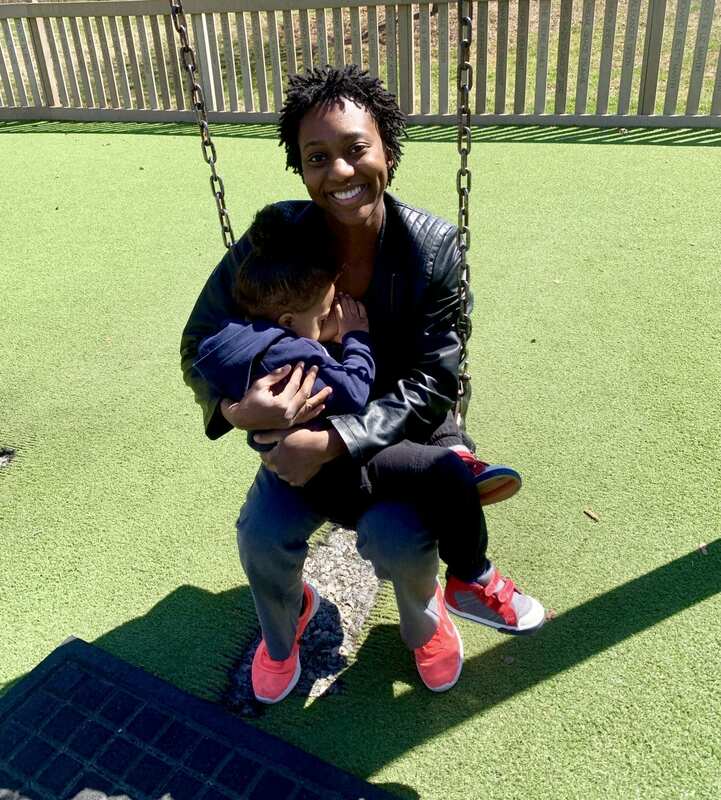 I like the option to train online because I am a stay at home parent and it eliminates the need for my family to acquire a caretaker for our son in my absence. It also eliminates travel expenses. I love that bebo mia values community, healing, and growth. As a mom, I needed to foster all three of these dynamics. I had to learn to mother myself in order to be the mother I envision for my child. I am grateful that bebo mia provides opportunities for people like me to apply for financial assistance; it says a lot about the core values of a business and their desire to hold space for marginalized peoples. I also appreciate that bebo mia offers other training programs and bundles that include breast/chestfeeding education and pre/post natal fitness certificates. 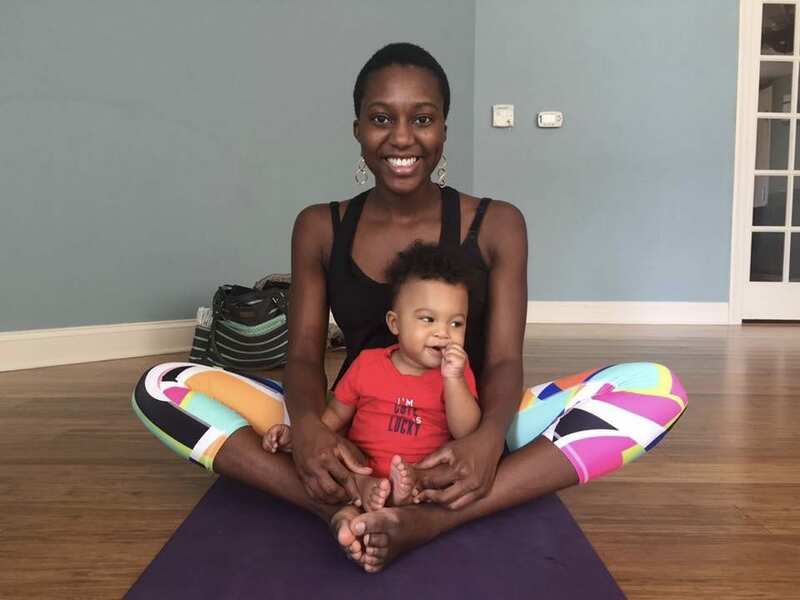 As a yoga teacher and mom who is still breastfeeding her 2.5 year old son, I hold teaching accessible fitness modalities and supporting women during their breastfeeding journeys dear to my heart. My business plans after the program is to join a doula collective, be part of a wholesome team, and acquire a mentor to help hone my newfound skills. I plan to give back to people in my community by hosting monthly support groups for parents and families. There’s so much strength in community and we can go farther together. I hope to one day be a part of a community-based doula program where we can address the health disparities in low-income and marginalized communities. 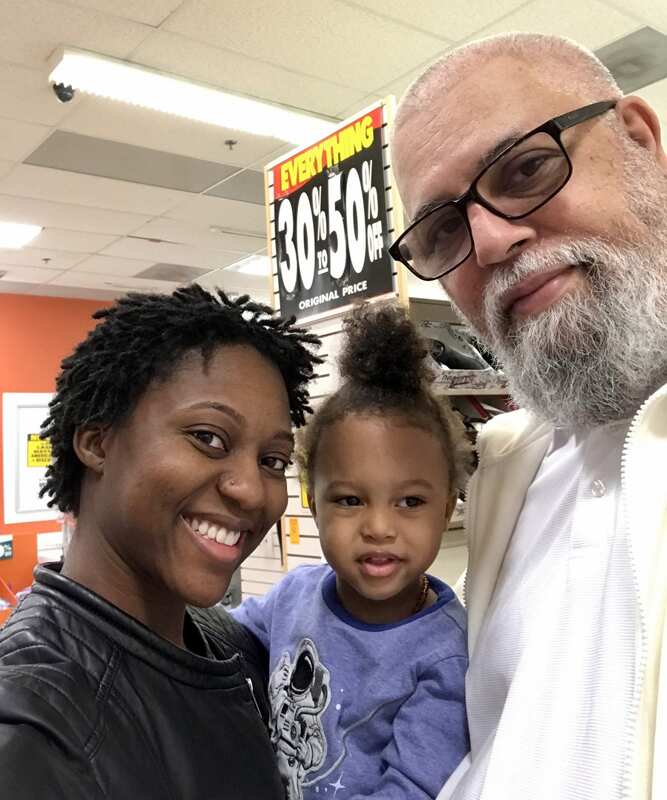 My goal is to move back to my hometown of Orlando, Florida in the near future where there is a large community of people from all over the world especially from the Caribbean such as Haiti, Dominican Republic, Puerto Rico, Jamaica, and Cuba. Our goals would be to reduce the health disparities, promote and encourage breastfeeding, cloth diapering, and babywearing alongside providing fertility, prenatal, birth, and postpartum support. I would also offer my services as a pre/post natal yoga teacher. I am fluent in Haitian Creole and currently studying Spanish and my goal is to recruit doulas who speak multiple languages such as Haitian Creole and Spanish. We would be able to communicate with our community in their native tongues and bridge the gap of language barriers for those who don’t speak English. We would give a voice to disenfranchised women who otherwise wouldn’t have a voice. I wholeheartedly believe in this message by Dr. Tererai Trent that states: “Your dreams in this life will have greater meaning when they are tied to the betterment of your community.” During my Y12SR Leadership Training, my teacher Nikki Myers also reiterated that “we can’t keep what we have without giving it away”. It is my greatest privilege that my undertakings as a yoga teacher and doula will be the gifts that keep on giving. Thank you bebo mia from the Stringer family!